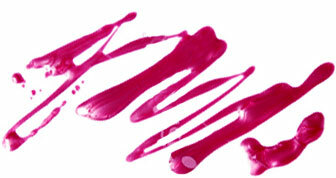 beautybliz.com / Is Marula the New Argan Oil? Step aside argan, there’s a new oil taking over our skin and hair care routines. While we love you for your fatty acids and vitamin content, we can’t help but lean towards marula oil’s higher concentration of omegas. If you think it doesn’t get better than argan oil, allow us to introduce you to the benefits of marula, and some of the amazing hair and skin products using the ingredient. Marula oil comes from the nut inside of the marula fruit of Africa. While both marula and argan boast tons of anti-aging properties, marula oil takes the cake at offering 16 percent more antioxidants than argan oil. Free radicals simply don’t stand a chance. But while both oils are great in the anti-aging department, marula oil also works wonders on problem skin. “Due to its high levels of oleic and linoleic acids, pure marula can be super effective in treating redness, dry skin, allergic contact dermatitis, eczema, psoriasis and more,” says Tiffany Masterson, founder of skincare brand Drunk Elephant (marula oil is a key ingredient in many of the brand’s products). The brand’s Virgin Marula Luxury Facial Oil is marula in its purest form. And if you’re still under the impression that acne prone or oily skin should stay away from oils, it’s time to revaluate. “It is totally non-greasy and its higher concentration of omega-9 means better penetration with less clogging of your pores,” says Masterson. “Marula’s antimicrobial properties fight bacteria build-up, resulting in heightened skin hygiene and less frequent breakouts.” Sold yet? 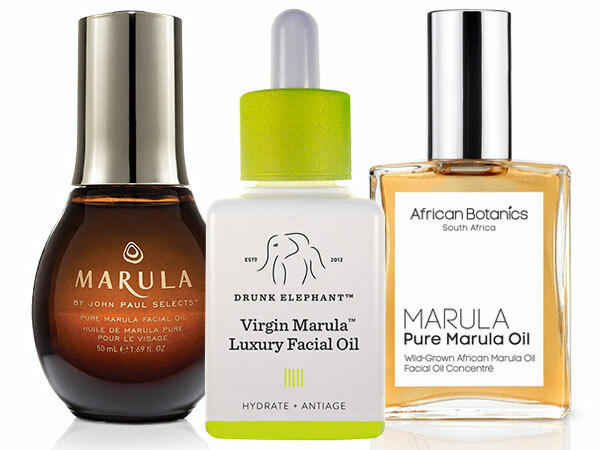 But Drunk Elephant isn’t the only brand singing marula oil’s praises. African Botanics, a skin and body brand from South Africa, has a complete range of products which include an eye serum, cleansing mask, cleansing oil, and of course pure marula oil. Another brand that revolves around this miracle oil is Marula Pure Beauty Oil. They use a unique, proprietary method that makes sure none of the ingredient’s key benefits are lost during extraction. This specific brand of marula boasts 60 percent more antioxidants than argan. Marula oil has also proven to be exceptional on hair. 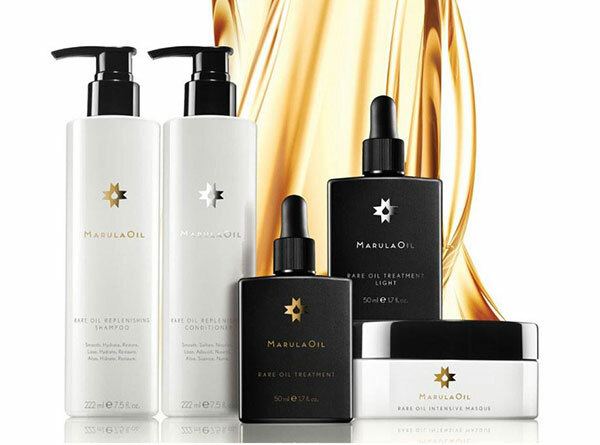 John Paul DeJoria, co-founder of a little haircare brand you might know called Paul Mitchell, just launched a high-end collection highlighting the wonders of marula oil on hair. The collection, simply called MarulaOil, is made with a very special marula. The oil inside each of the five products is taken from the first extraction of the cold-press process. This allows the oil to retain the max amount of nutrients and oleic acids to nourish, hydrate and protect the hair. The collection includes two Rare Oil Treatments (a regular and a lightweight version), Rare Oil Replenishing Shampoo and Conditioner, and a Rare Oil Intensive Masque. Each product features time-release “MarulaSpheres” that cling to the hair shaft and release micro-bursts of marula every time you touch or brush your hair.